It’s one thing to spray-clean the windshield and rear glass from the outside, but the job becomes much more difficult when attempting to remove grit and grime from the inside (and even the outside of certain cars and tall trucks). 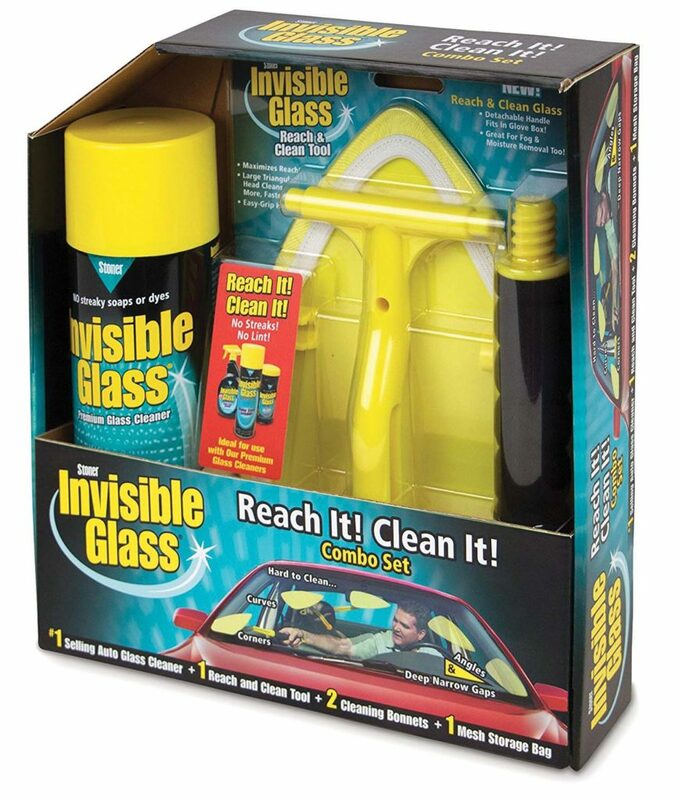 The Reach and Clean glass tool kit from Invisible Glass can save you considerable grief. Included with this package is a pivoting 14-inch handle and triangular head that makes is easier to access hard-to-access areas, a total of five washable and reversible microfiber cleaning head covers and a handy nylon-mesh storage bag. The Reach and Clean kit sells for $25. Order at www.invisibleglass.com.